As we impatiently await dispatch from the forthcoming administration in Washington as to their interpretation of the current state of cannabis access across the U.S., the DEA quietly published an item, 21 CFR Part 1308, in the Federal Register on December 14th. The notice establishes a new drug code 7350 under Schedule I for “marihuana extract,” effective date January 17, 2017. This code number will allow DEA and DEA-registered entities to track quantities of this material separately and to come into compliance with relevant 50-year-old International treaty provisions. The new drug code will include any extract containing one or more cannabinoids derived from the genus Cannabis, other than separated resin obtained from the plant; but, appears targeted at cannabidiol (CBD). So what precipitated this latest rule making by the DEA? The December 14th Federal Register announcement states that the new drug code creation was needed to assure that the DEA was meeting its International obligations under the 1961 Single Convention on Narcotic Drugs and the 1971 Convention on Psychotropic Substances as laid out by our own Richard Nixon era and as detailed in the U.S. Controlled Substance Act of 1970. One might speculate that this has something more to do with the impending FDA approval of the first cannabis extract drug in the U.S. and the 2014 U.S. Farm Bill that allowed for the growing of hemp. The trail of evidence starts back in October of this year when the UK’s Medicines & Healthcare products Regulatory Agency (MHRA), the equivalent of our FDA in the U.S., announced plans to regulate cannabidiol (CBD) containing products as a medicine commencing December 31st of this year. While the UK has taken a stance to lift CBD to a drug of recognized benefit to patients, the U.S. government has shown the spotlight on CBD’s Schedule I status, i.e. having no medicinal value. While the impact of this new clarification of CBD’s Schedule I status to U.S. CBD companies is unclear, the squeezing of hemp for its oil will be impacted. But then again how much CBD oil out there on the internet is from hemp vs. hi-CBD cannabis strains? Without testing, it is difficult to answer and if the producer is flying under the hemp radar, there is no mandatory testing. Fortunately, the Rohrabacher-Farr amendment shields MMJ patients in many states from federal prosecution over possession of the oil. The Rohrabacher-Farr amendment, passed in 2014, attached to a Congressional appropriations bill prohibits the Justice Department from spending funds to interfere with the implementation of state medical cannabis laws but did not address retail cannabis. In considering this revision to 21 CFR Part 1308, the DEA concluded that this change would have an annual economic impact of less than $100,000,000 and not result in increased costs for consumers, industry or governmental agencies. The only new requirement for entities currently registered with the DEA under drug code 7360 for marihuana will need to apply for modification of the registration to also include the new drug code 7350 and obtain quotas. It is not meant to hinder the ability of U.S. companies to compete in domestic and foreign markets. The problem is that most if not all CBD oil manufacturers are not currently registered with the DEA. It would appear the DEA wants to know who you are and how much product you are making and distributing across state and foreign lines. Now that the DEA has provided clarification on the Schedule I, Federally-illegal status of all cannabis extracts including those from hemp, let’s reflect on how quickly and seamlessly cannabidiol (CBD) products have enjoyed free rein in domestic and international markets. With the passing of the 2014 Farm Bill, an allowance was made for growing hemp, which is the same Cannabis species as marijuana, just bred for its fiber and not its cannabinoid laden flowers. Individual states, usually MMJ complicit states, then decided whether or not to allow for cultivation of hemp. Hemp seed had to be imported to the U.S., usually from Canada or China who are both large hemp producers, and bountiful crops ensued. The idea to squeeze the hemp for its cannabinoid content was already happening in Europe and it was an easy next step in the U.S. and marketing CBD oil to the world was straightforward by riding on the coattails of Charlotte’s Web CBD-oil success and notoriety. And it seems to have been successful given the number of CBD-centric products on the market and openly available on the internet. Maybe this caught the attention of the DEA. Other key events were happening, including GW Pharma’s filing of an investigational new drug (IND) application with the FDA in 2007 and their subsequent successful launch of numerous randomized clinical trials (RCT) of their 99% pure CBD-extract, EpidolexTM, for the treatment of epilepsy, including in the U.S. 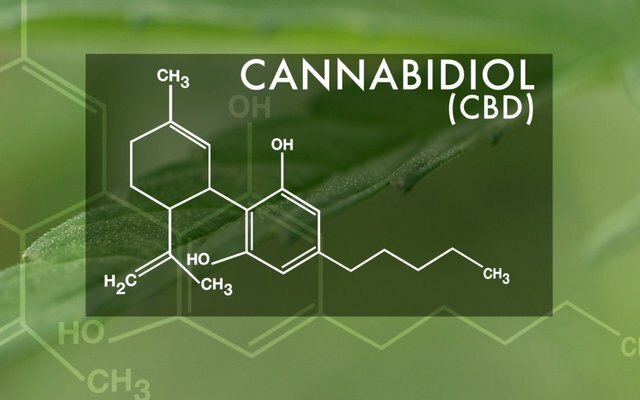 This was followed by the U.K.’s MHRA announcing in October of this year, that CBD as of December 31, 2016 would be considered a compound of medicinal value and require licensure for distribution and sale, which essentially will halt the open CBD market in the U.K. and require patients to obtain a prescription from their doctor for access. While the U.S. and the U.K. may have sharply differing strategies to curtailing rampant distribution of largely unregulated “CBD” products on the internet, the end result could turn out to be a benefit for the MMJ patient as there is a widespread lack of quality control in the manufacturing and packaging of CBD products. The consumer really has little assurance in the potency, authenticity and unadulteration of the contents of many CBD products sold across state lines and foreign borders. Furthermore, because CBD has wide ranging impacts on human physiology including the interference of key P-450 enzymes in the liver that are necessary for the processing of many pharmaceutical drugs and the detoxification of many harmful environmental chemicals, the long-term consequences of high dosing is unknown. While the tradeoff of free access versus safety is often hard to reckon, the consumer in MMJ complicit states in the end will benefit by acquiring their high-CBD content products from state licensed dispensaries, where product safety and potency testing is mandated prior to getting a place on the shelf and little attention is given to which cannabis or hemp strain was the source.